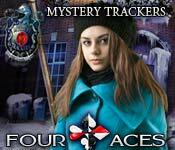 Mystery Trackers: The Four Aces is rated 4.3 out of 5 by 59. 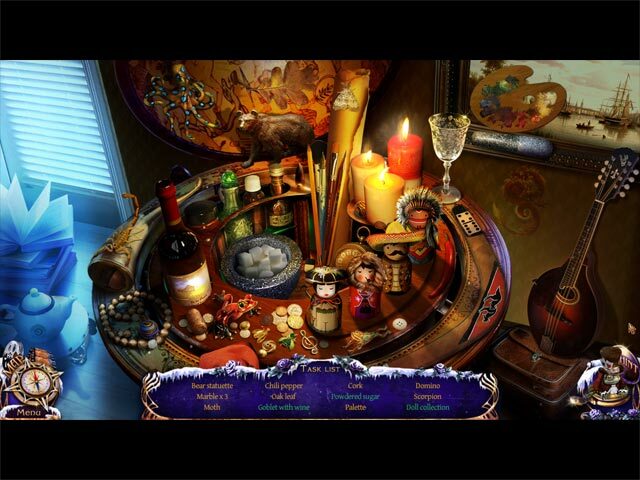 Rated 5 out of 5 by KarenkerBa from Any Mystery Tracker Game is a good choice This is a good game if you like hidden object and puzzle games. 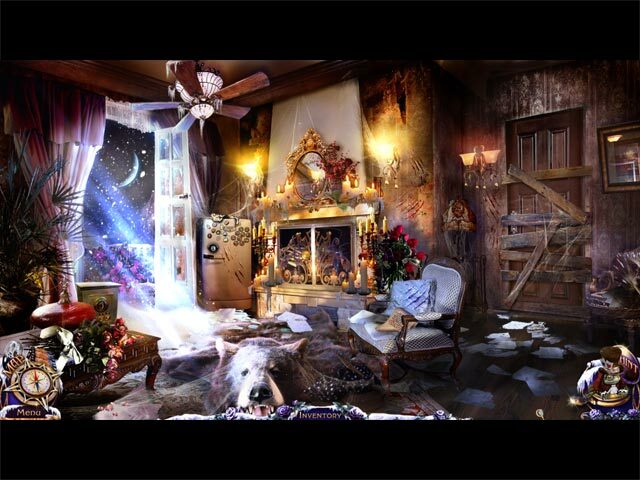 I'm more of an hidden object fan but as long as I can skip past the puzzles if I'm not getting it that's good with me. I liked the map. It was a big help allowing me to go to the areas that require attention in one click instead of clicking over and over again to get back to one of the areas at the start of the game. Game functioned well and did not glitch. Over all i liked it and will buy the next Mystery Tracker game as I have the last five or so. Rated 5 out of 5 by javanda535 from Excellent game This is really good game. It is not short, on the contrary. Graphics is nice, clear, beautiful colours. I have played "advanced" player like usually and it is exactly what it should be - no sparkles, but hint charges quite quickly, when neccesary. And on the map can be found places, where is an action available. I did not skip any puzzle, so everything is possible to do. Though probably all of this I have already seen (nothing new) and one was in another game quite the same (not only similar). But this riddle was one of these more challenging - it only did not take me so much time like at first, since I have done it once already. HO scenes were OK, things not too small, quite easy to recognize. Game did not show flaws, it did not make PC to restart or anything like this. Good work. Rated 5 out of 5 by rowdyrion from Another great Mystery Trackers game I enjoy playing the Mystery Trackers series of games. The storyline is always interesting and gameplay keeps moving along. The graphics are nice and clear and the mini games are moderately difficult with just the right amount of HOS. Keep 'em coming, Elephant Games! Rated 5 out of 5 by DiDi212 from Elephant has done it again with another great Mystery Tracker! I love this series of games. They are fairly easy and have a great flow which moves you right along from beginning to end. I played in the casual mode and my review is based from that point of view. This game is suitable for anyone but the hard-core-don't-give-me-any-information-to-complete-the-game player LOL! The HOS are lists type with no surprises. The scenes are basically junk piles but everything is easily found, you just might have to look a little harder for some. There are no repeating a HOS. The hint shows you where the object is. There is no penalty for miss-clicks. There is an interactive map showing areas requiring action and it does transport you there. It's not a bad map at all, but I've seen better. I used this map constantly as there is some back and forth between scenes. The hint button, outside of a HOS, tells you where to use an object in your inventory. I prefer directional arrows, but this worked very well for me. I didn't use it often but was very glad I had it. There is a walk through for this game but I didn't use it. This game flowed so smoothly, I just never got lost so there was no need to use it. I enjoyed most of the puzzles but there weren't any that stood out. There is a skip button which I also used towards the end. All in all I think this is a fun game and highly recommend it. Read some reviews and play the demo. Have fun. Rated 5 out of 5 by Titania from What a great game I loved this game, music and graphics were excellent, story was good, most of all I enjoyed the mini-games, The were brilliant but not for the faint hearted, they got harder as the game progressed. I would recommend this game to anyone who loves a challenge. Rated 5 out of 5 by celticgirl03 from Another wonderful Mystery Trackers game I started playing Mystery Trackers with the Void and loved it!! This is just the next in line of great story telling. So we are back at trying to find a missing person and figure out why a town is being attacked by mixed up animals. One of these animals is a cute seal that isn't what it looks like when you get close to it. Just like any of the other MT games we have or little dog that can get into tight spots and help us out. It also has different playing levels from casual and lots of help to Expert with no help at all. I usually play on Expert, but it is the same story on all levels. The first thing I saw when the game started was how great the graphics are. Some of the scenes even startled me a little. There are plenty of cut scenes to keep you engaged in the story and plenty of items to find and use. I don't have the luxury of playing straight through any game (kids) but I had a hard time quitting during the game. However, when I came back, it was easy to pick right up where I left off. The map helps tell you where active zones are in case you don't want to click the hint button. I find this will help if you need a little push in the right direction. Overall, I really enjoyed this game. If you like Mystery Trackers, you will love this one. Or if you are new to Mystery Trackers and just like Elephant games, you will be impressed. You don't have to play them in order to understand the story. I did, but found it wasn't really necessary. Rated 5 out of 5 by JustTheFacts from High Intensity Adventure BASED ON COMPLETED GAME FIRST IMPRESSIONS This is a high intensity game. From the moment we step off the company jet, the pressure is on not only to solve the case and save the girl, but to do it without getting killed ourselves. Again, our Mystery Tracker detective is in the field with an inexplicable mystery and an unseasonable snow storm! I bet this detective spends his holidays in the Bahamas! SIGHTS & SOUNDS The graphics are spectacular. The ice and snow glint into your eyes, and everything has that ethereal sharpness that reminds me so much of Raincliff, the 2nd Mystery Tracker case, and my personal favourite. The artwork is bright and detailed, and very imaginative, when it comes to the odd creatures you are confronted by in the street. The music is exceptional, showing a real talent, and succeeds in maintaining just the right mood throughout. The voiceover of the narrator portends doom so well! The other voices are also done well, although without lip sync. There are a lot of special effects in this game, and the sound guys have done their bit to make them as realistic and shocking as possible. There are options and sliders for everything. Music, effects, environment and voice volume, gamma effects, custom cursor, special effects, and widescreen. The one thing it didn't have that it should have was an inventory bar lock. WHAT’S HAPPENING? The town of Brightfield is undergoing an out-of-season blizzard, hampering the efforts to stop attacks by the strangely mutant animals that have been terrorising the town. Now practically deserted, the town holds a deadly secret, and someone seems determined to ensure you never get to the bottom of it, even if it means killing you. Your immediate problem, however, is the rescue of a girl who was kidnapped by a huge furry beast that nevertheless walks on two feet. GAMEPLAY Though extremely well done, this is a fairly standard HOPA game. There are a lot of HOPs, of the interactive list type. 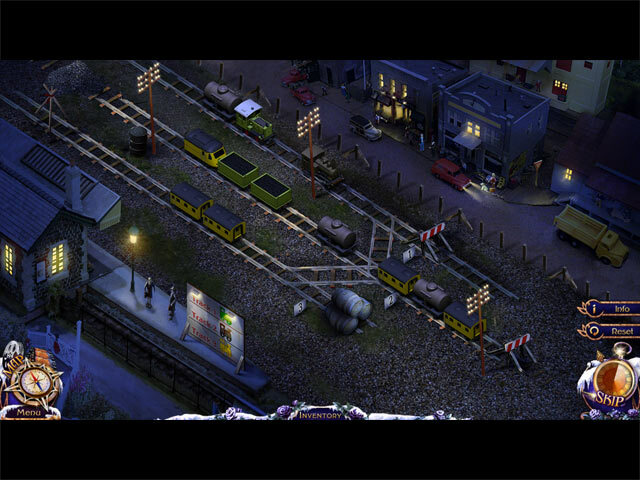 Within them are smaller mini-puzzles, simple and fast, but adding to the complexity of the scene. The puzzles are a bit different and a touch quirky, and require a little bit more effort than usual. There are a lot of safes and niches and drawers to open, and one thing I liked about this game, is if you had scoured the town to scrounge up the pieces of a safe lock, the combination would be right there near you, so you didn’t have to scrape around for that too. There is no journal, so no codes or clues are outside the location of the cache. Otherwise I would not have liked this game. There is a helpful interactive jump map showing both objectives and immediate tasks, and holding videos to be replayed. The hint system actually gives you a none too subtle hint. There is lots of help at the easiest of the 4 levels of difficulty. COMBINED IMPACT I remember being less impressed with this game when I first played it. I often find I enjoy a game the 2nd time more than the first, I think because it is all such a struggle to play one of these extravagant games at first! In any case, I had a wonderful time with it this time round, and it will not be so long before the next time. Solid, high class entertainment. Rated 5 out of 5 by rpggramma from Great Game! Loved this game! Elephant does it, as usual. Great storyline. Story holds your interest. I love the way they lay out the cutscenes; very easy to review, when necessary. HOs are good, puzzles are fun; a few gave me a challenge, but I won! Good interactive map; it was needed. No journal. You can't go wrong with Elephant! !